Small house movement unlikely in San Francisco? So says Anna Marie Hibble for SFGate (The San Francisco Chronicle) notwithstanding yet another Yahoo News feature indicating that the small house movement is thriving. Though neighboring Sonoma has become a “mini-mecca for the tiny house industry, with an assortment of new businesses launching over the last few years,” the question of where small houses would go in San Francisco is a conundrum considering a “famously difficult” building and permit process. Check out the comments – by the sounds of them San Franciscans are not ready for small houses yet anyway. Or are they just sick of living in small spaces? It is worth noting though that many apartments in San Francisco and other metros are small – Hibble dug up 22 move-in ready small homes at or under 500 square feet on the MLS. 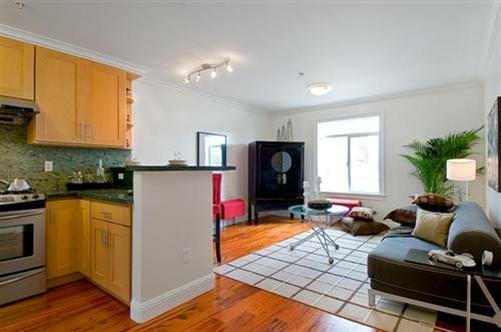 The cheapest, shown below, is a SOMA studio on Brady St. for $198K for 320 square feet. Thanks to Reid Spice for the SFGate tip. 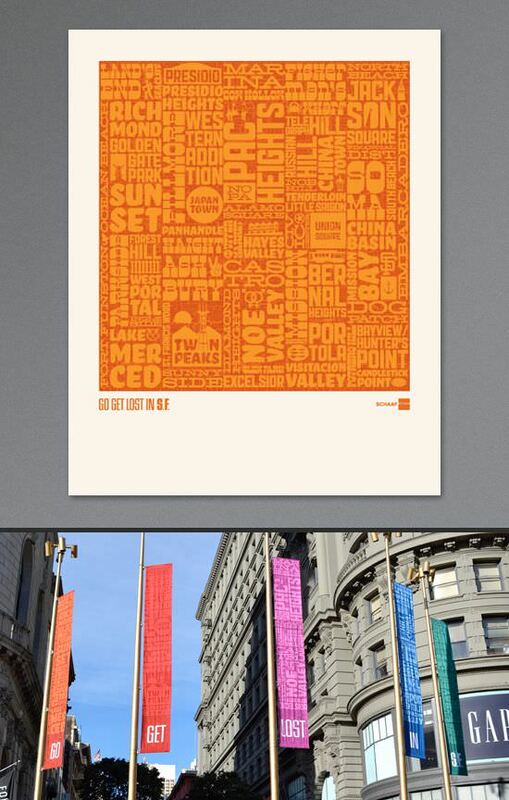 Oh, and for all of you Friscophiles who love the poster above, check out Schaaf Design‘s typographic and iconographic map of the city which was based on a set of five banners that are currently hanging at the cable car turnaround at Market and Powell Streets in downtown San Francisco (see below for photos). Need a unique holiday gift for your favorite San Franciscan or Friscophile? Order here. Enter ‘smallhouse’ as the discount code for 10% off your order. Small houses or apartments all cost more per square foot than larger houses. This example, in San Francisco, costs $619 per square foot. My feeling is that potential buyers focus in on the square foot number rather than the value of being well located, convenient and easy to live in. It matters not that the total price is still lower than for a larger home; the square foot number is hard for people to get by. It’s a problem for my company, Sidekick Homes, and I assume others are having similar experiences. ? The small house builders that offer their homes priced at their construction yard or factory need not include all those fees for permits, water, sewer, and impacts on the community. They don’t have to include foundation costs, or costs for landscaping or other site work such as walks, patios, etc. As a result their total cost and their cost per square foot are both lower than for a house that includes all of these items.